Last year the Committee on Petitions of the European Parliament wrote a letter to the Lithuanian authorities concerning the linguistic rights of Poles in Lithuania. The official document was filed because of a petition submitted almost five years ago by Tomasz Snarski, a lawyer from Gdańsk, to the European Parliament in regard the linguistic rights of Polish people in Lithuania (petition no. 358/2011). 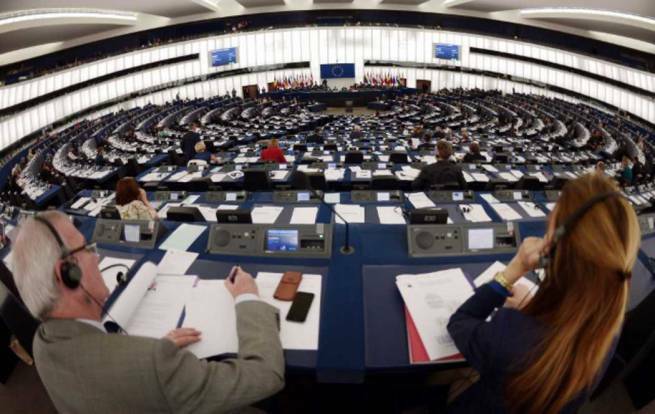 According to the information held by L24.lt, in the letter submitted in the autumn of 2015 it is highlighted that the previous response of the Lithuanian government to the remarks and enquiries of the European Parliament was not satisfactory. Chairman of the Committee on Petitions of the European Parliament Cecilia Wikström, the author of the letter, points out that despite the time that has elapsed, the problems of the Polish minority are still not solved. The author addresses the Lithuanian government through an ambassador of the Republic of Lithuania in Brussels and provides information on issues raised by Tomasz Snarski in his petition, as well as by the members of the European Parliament. In his petition, lawyer and academic teacher Tomasz Snarski raised the problem of the legal discrimination of the Polish minority manifested among other things in the inability to use first and last names in Polish, the lack of official street and town signs in the native language, as well as in discrimination against Polish educational institutions. Lithuania still lacks complex legal regulations regarding the rights of national and ethnic minorities, despite this being a standard for European Union member states. Within the procedure of considering the petition various actions are possible, including among other things undertaking an analysis by specialised EU departments on fundamental rights and one more public hearing about the rights of the Polish minority. Tomasz Snarski highlights that the argument of his petition is based on the basic rights and values of the European Union, including respect for human rights, especially those of people who belong to minorities, and democracy.